If you are interested in changing how your lip appears in addition to improving your smile, call our Springfield Township, NJ dental office. 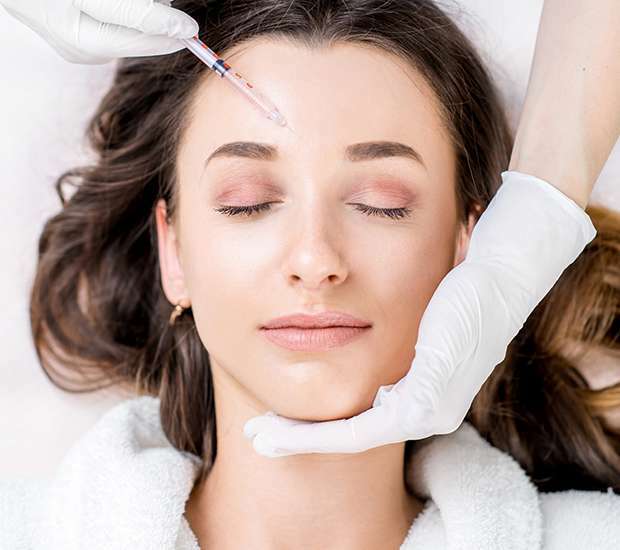 At Smilow Family Dentistry, P.C., we are a dental spa and as such, we incorporate other procedures like dermal filler for Botox and Dermal Fillers. Dermal fillers such as Radiesse®, Juvederm® and others can be used to change the shape and position of the lips. In many cases, patients have a lip that is too high or crooked and these dermal fillers for Botox and Dermal Fillers can make the lips appear more naturally beautiful. If you live in the 07081 area and want to learn more about this innovative solution, we invite you to call (973) 343-0600 for a consultation and exam. When examining you and planning a full smile makeover, we will typically begin by discussing what you do and don’t like about your smile. In a traditional dental office, these conversations will center around the teeth only. At our dental office, we will also discuss what you do and don’t like about your lips and face. When transforming a smile, we can stop with just the teeth or make the transformation complete and, by using dermal fillers for Botox and Dermal Fillers, we can produce a more dramatic impact. In our Springfield Township, NJ dental spa we typically start by cleaning teeth and ensuring that the teeth and gums are healthy. This is necessary before proceeding with any cosmetic work. Next, we may recommend a standard teeth whitening procedure since this must be done prior to placing any dental veneers or crowns. If your teeth are crooked, chipped, have gaps in between them or are the wrong shape and size, we can correct them using dental veneers or dental crowns that look like natural teeth. When teeth are missing, we can replace them using dental implants or dental bridges and afterward your smile should look amazing. At Smilow Family Dentistry, P.C., we will use a combination of procedures to achieve the desired result. Once done, we may use dermal fillers for Botox and Dermal Fillers in order to even out the appearance of your lips, reduce a high lip line, and add volume to your face around your mouth. This can help you to appear younger and healthier, in general. When necessary, we can also provide Botox® treatments as a way to eliminate fine lines and wrinkles. As a dental spa, we offer a wide variety of solutions so that you can have a gorgeous smile and stunning appearance, all from the same medical provider. To learn more or to schedule an appointment with our 07081 dental spa, call (973) 343-0600. At Smilow Family Dentistry, P.C., we offer Botox for dentistry patients throughout the Springfield Township, NJ area. 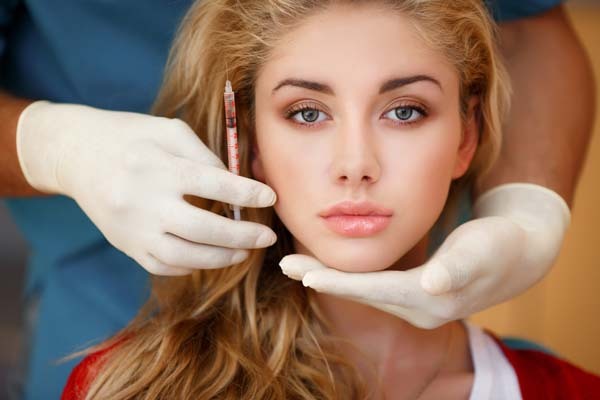 Botox® is the single most widely performed cosmetic procedure in the United States. In fact, more than 2.5 million procedures are completed using Botox® every year with the majority of them being female patients. The procedure is incredibly simple, requiring a small injection to be made, typically near the eyes or mouth. Those interested in how Botox® for dentistry works should call (973) 343-0600 to schedule a dental exam and consultation. During your appointment, we will examine your teeth and gums then determine if you are healthy enough for this additional procedure. If not, we will treat any cavities or infections you have first. By offering Botox® for dentistry patients, we can create a more dramatically improved facial appearance. In our Springfield Township dental office, we provide full smile makeovers using treatments like teeth whitening to brighten teeth, dental veneers and crowns to close gaps and straighten teeth, and dental implants to replace teeth that are missing. These procedures can transform a smile to such a degree that our patients appear younger, more refreshed, healthier and absolutely beautiful. Still, many of our patients are looking for an even greater transformation and Botox® makes that possible by eliminating wrinkles and frown lines from the face. The injections can be administered in our dental office so that you don’t need to visit a second provider in order to achieve your appearance goals. Those in the 07081 area that are interested in Botox® for dentistry, should visit our office for a consultation. During that meeting, we want to know if you are experiencing any signs of TMJ or pain in your face or jaw. In addition to improving a person’s appearance, Botox® has also been shown to reduce discomfort associated with TMJ by causing the facial muscles to relax. It is typically administered in a dosage that is around half of what is needed for wrinkles, and the results are extremely effective when combined with the daily use of a removable oral appliance. How frequently a person needs the injections are based on the severity of their discomfort. For more information, call (973) 343-0600 and schedule an appointment with our Springfield Township dental office. Smilow Family Dentistry, P.C. is a dental spa located in Springfield Township, NJ. We treat patients of all ages with an emphasis on adult dental care. While we provide preventative dental care in order to reduce the risk of cavities and gum disease, we do so in a comfortable and spa-like atmosphere. Believing that dentistry is more than preventing cavities, we address the appearance goals that our patients have, as well. In our dental spa, we perform full smile makeovers and even use Botox® to complete the appearance transformation. If you are looking for an enjoyable and relaxing dental experience, call (973) 343-0600 to schedule an appointment with our 07081 dental office. While visiting a general dentist can be effective for treating common dental concerns, visiting a dental spa allows you to have all of your oral health needs addressed while simultaneously having access to a wide range of procedures for improving your appearance. The way that your smile looks directly impacts how people perceive you and studies have found that those with a beautiful smile are more likely to be viewed as attractive and have greater financial success at work. With that in mind, we provide smile makeovers using a combination of treatments that may include teeth whitening, dental veneers, dental crowns, bridges, and dental implants. In our dental spa, we can close gaps in between teeth, whiten them, cover dark stains, change the shape or size of teeth and even straighten them using cosmetic dentistry. Once the transformation is complete, we can use Botox® to eliminate fine lines and wrinkles in the face and around the smile. As a result, patients of our Springfield Township dental spa experience dramatic results and love their appearance. At Smilow Family Dentistry, P.C., we can perform all of these procedures under sedation so that regardless of what is being completed, our patients can remain entirely relaxed and comfortable. This is one significant advantage of visiting a dental spa – having dental work completed both comfortably and efficiently. Additionally, we understand that the use of Botox® and other cosmetic treatments in dentistry is a modern solution and as such, not all dentists offer them. With that in mind, if you are looking for a more comprehensive way to improve your appearance, we invite you to call (973) 343-0600 and schedule an appointment with our Springfield Township dental spa. If you live in the Springfield Township area, call 973-343-0600 to schedule your dental exam so that you can remain in good health or receive treatment for a current condition.